Would you like some whipped cream on that? 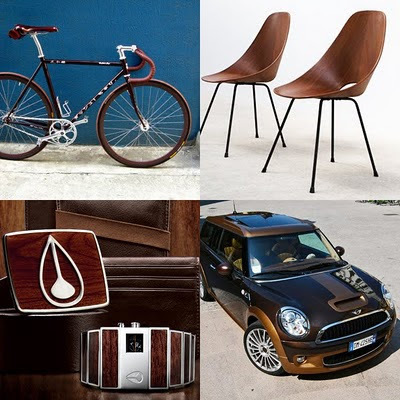 UPDATE: For everyone who's asked about the two-tone Clubman, a full photo set can be seen by clicking right here. The harder the life, the sweeter the song. Ever since the first Jeff Bridges flick I saw as a kid—Tron, obviously—I've been a staunch Bridges fan. (Jeff not Beau, duh.) Growing up, I also loved him in movies like King Kong, The Fisher King and Tucker. I kinda saw him as another Harrison Ford, which comes in handy once you see Harrison Ford on TV with his ear ring, ugh. I've always loved Jeff's delivery, it's completely genuine—you think, yeah that's how I woulda said that. For a Bridges fan, Crazy Heart was as good as it gets. He completely throws himself into the Bad Blake character, singing the songs himself, playing the guitar himself and probably nearly drinking himself to death. Crazy Heart is also a music fan's film. There are definitely some "Once-like" moments, though the cool rawness of Once isn't present. The T-Bone Burnett tunes are simple and fantastic. You want to own the soundtrack after seeing it, for sure. The the rest of the cast is surprisingly compelling as well. Robert Duvall is classic. Maggie Gyllenhaal has another consistently hot-or-not showing. And out of nowhere, Colin Farrell delivers an oddly perfect performance as Tommy Sweet, Blake's prodigy. 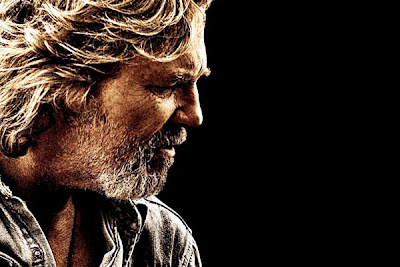 Bottom line: Crazy Heart is a tough story to watch unfold—but if you're a Bridges fan or a music lover in general, it's worth a gander for sure. When Hulu.com sprang onto the scene with gobs of hi-def online content—Mrs. Kyality and I quickly became avid viewers on our iMac. After just a couple of weeks of Hulu-ing it was clear that dual-wielding the Apple Remote and Mighty Mouse wasn't awesome. Last year, Hulu did come out with an Adobe AIR application called Hulu Desktop which only requires an Apple Remote. But unfortunately, the video occasionally chunks in the app. So, I came up with a little idea called the Mighty Mote that incorporated a scroll ball for mousing into the traditional Apple Remote—but for some strange reason it never caught on. Until now. 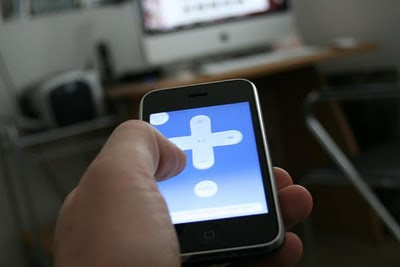 @zuhl via @upto12 turned me onto an amazing remote app for the iPhone called Rowmote Pro. This app turns the iPhone into a Mighty Mote! You have all the functionality of a remote, mouse and even keyboard for your Mac in the palm of your hand. This was almost too good to be true and it's literally the first iPhone app I've EVER purchased! With a simple download to your Mac (don't forget to restart), you don't even need line-of-sight to run all your apps from your iPhone. Now if they'd just add a mute button, I'd be set! Red never looked so rad. 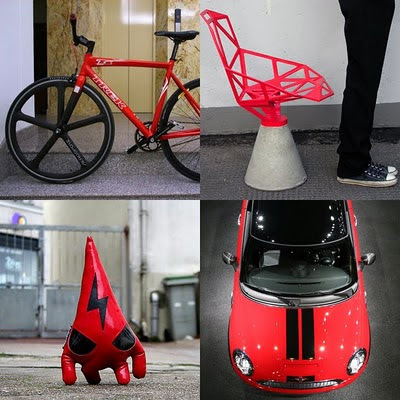 Due to some comments on a recent post about cars and matching bikes, I've decided to craft a series of posts on "stuff that goes together" based on standard MINI factory colors. 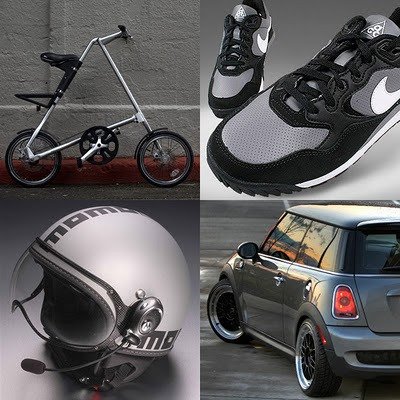 The first post in this series comes to us from the classic Cooper color called Dark Silver—which of course was the color of my first MINI. Come back soon for more color scheming! Click here to enlarge. It's been a week since Sundance 2010 wrapped, but I wanted to make sure that I gave a quick update on the sweet indie flicks we caught this year. Sundance has launched a new category this year called NEXT that specifically showcases low-no budget films. We were lucky to catch Bass Akwards, which fell into this category. Written by, directed by and starring Linas Phillips as a down and out loser who stumbles upon a shortened '76 VDub Bus dubbed a "Shorty", this is an atypical roadtrip flick chronically Linus' journey from Seattle to NYC. Though it was about 20 minutes too long, I was totally enamored by the gorgeous wide-angle hero-shots of this miniature bus cruising throughout the midwest. You know how I feel about miniature vehicles! The second flick we caught was great, but almost too cool for school. The Imperialists Are Still Alive! 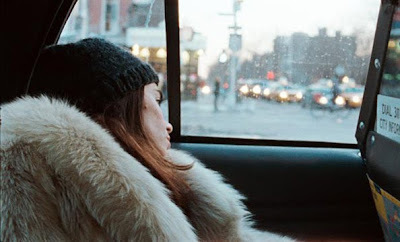 directed by NYU film student Zeina Durra is an ultra-hip night-on-the-town flick shot on 16 mm in NYC. Starring Elodie Bouchez (CQ, Alias), it tracks a group of multinational (mostly Arabic) students and artists residing in Manhattan through their exploits both significant and mundane. This flick had a lot going on, but was peppered with thought-provoking moments of life as an Arab in post 9/11 New York. The randomness and humor of this one made it a perfect Sundance-style flick. Finallly, Sundancing would not be complete without something from the doc category. We were beyond satisfied with our selection. 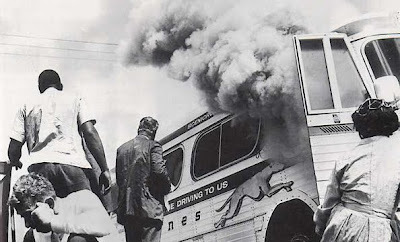 Freedom Riders is a documentary on the Freedom Rides of 1961 that served as the foundation of the Civil Rights Movement. This film centers on the amazingly courageous students, both black and white, who attempted to integrate buses in the Deep South. Literally preparing themselves for death, the non-violent students endured massive cruelty that shed light on the true depth of hatred that still existed there. It also showcases the rise of Dr. Martin Luther King, Jr. and the Kennedy's as the primary agents of change within the movement. Freedom Riders will air next January on PBS for the 50th anniversary of the rides.